Announcement My little shop is named 'Elfenstuebchen' - translated: fairies' little snuggery. My products are handcrafted. Nearly all can be manufactured in your desired length. If you like a product, but another color, please write an email. My little shop is named 'Elfenstuebchen' - translated: fairies' little snuggery. Ich super zufrieden mit dem Armband, es sieht in real exakt so aus, wie es auf den Bildern von dem Verkäufer abgebildet wurde. Die Lieferung war innerhalb von 3 Tagen da. Ich würde immer wieder hier bestellen! Klaus und Petra sind supernett, antworten sehr schnell und die Uhr ist wunderschön. Die Lieferung erfolgte nach ein paar Tagen. 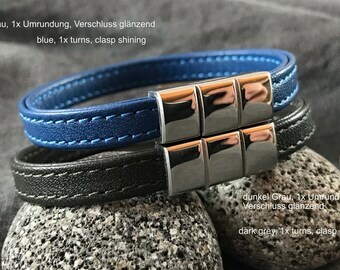 Das Armband ist weich und sehr schön und passgenau verarbeitet. Petra and me (Klaus) - we are the owner and designer of 'Handmade jewelry by Elfenstuebchen'. We are living in the middle of Gernany - in a small town. We like to live quiet, with a lot of nature around us. 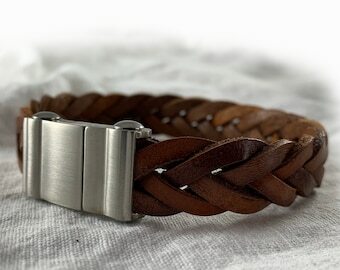 We love to work with leather, cork and metals - prefering stainless steel. We search and order our crafts from all over the world to find the best qualities for you. We hope, you like our items! Have a lot of fun by visiting our shop! Geboren in Aachen, wohnhaft im Westerwald - mittig zwischen Köln und Frankfurt. I’m so glad you’re here. Feel free to browse around. Take in all that I have to offer. If you have any questions, I’m here to answer them. To exercise the right to cancel, you must inform us (Klaus Trappschuh, Römerstr. 25, 56412 Niederelbert, Deutschland, Tel. : 0049-2602-8386583, E-Mail: info [!at] elfenstuebchen.com) of your decision to cancel this contract by a clear statement (e.g. a letter sent by post, fax or e-mail). You may use the attached model cancellation form, but it is not obligatory. 1.1 These Terms and Conditions of the company Klaus Trappschuh (hereinafter referred to as "Seller”) shall apply to all contracts a consumer or a trader (hereinafter referred to as "Client") concludes with the Seller related to the seller's goods and/or services presented by the Seller on the electronic platform Etsy (hereinafter referred to as "Etsy”). The inclusion of the Client's own conditions is herewith objected to, unless other terms have been stipulated. 1.2 The controller in charge for data processing on this website within the meaning of the General Data Protection Regulation (GDPR) is Klaus Trappschuh, Römerstr. 25, 56412 Niederelbert, Deutschland, Tel. 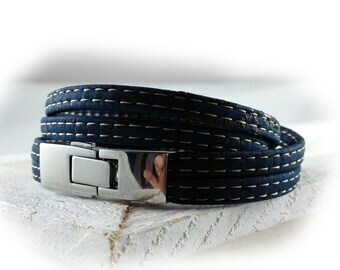 : 0049-2602-8386583, E-Mail: info [!at] elfenstuebchen.com. The controller in charge of the processing of personal data is the natural or legal person who alone or jointly with others determines the purposes and means of the processing of personal data. 1. The EU Commission provides on its website the following link to the ODR platform: https://ec.europa.eu/consumers/odr. 2. The Seller is neither obliged nor prepared to attend a dispute settlement procedure before an alternative dispute resolution entity.